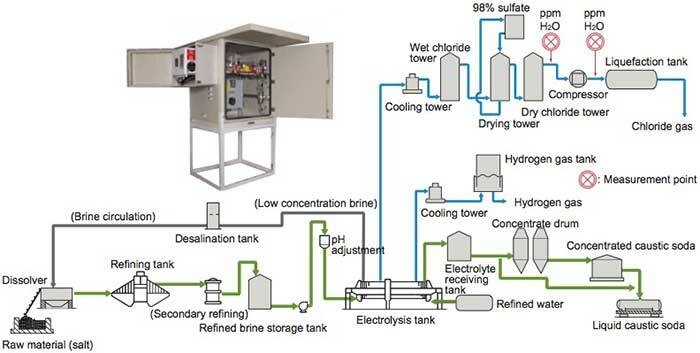 If water is present after the dry chlorine tower in brine electrolysis plants, the downstream compressor is corroded or the product quality is deteriorated. The moisture level is measured before and after the compressor to prevent the corrosion of the compressor and the deterioration of quality. Conventional trace moisture analyzers using a phosphorus pentoxide (P2O5) sensor measure process gas with the contacting sensor so there are problems such as the deterioration of the sensor, slow response time, high maintenance, and high running costs. The TDLS200 Laser Analyzer is the solution to these problems. Chlorine gas generated in the brine electrolysis plant is dehumidified in the wet chlorine tower and sent to the drying tower where the chlorine gas is dried using sulfuric acid solution. The dried chloride gas is sent to the dry chloride tower where the gas is dehumidified, and finally, the dry chloride gas is compressed by the compressor and liquefied, and then shipped as a product. 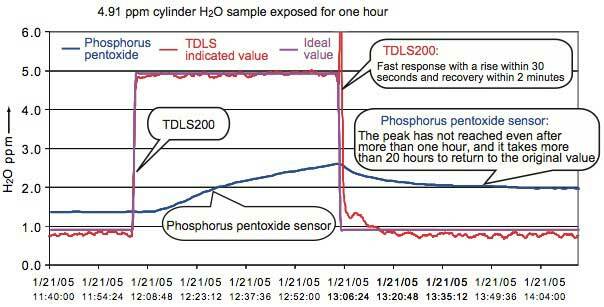 Unlike analyzers using a phosphorus pentoxide (P2O5) sensor, the TDLS responds fast to changes in the trace moisture of the sample. 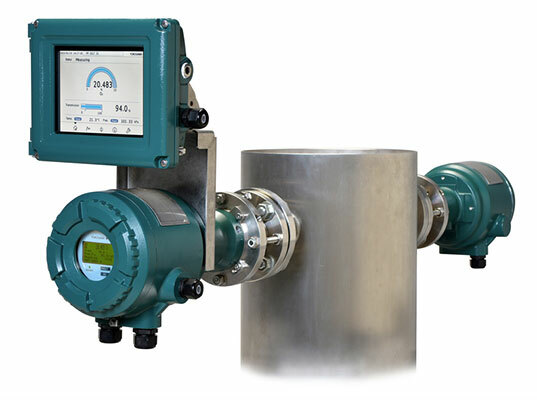 A sampling system is used to introduce a process gas into the flow cell to measure it.